Autosheen Gift Cards make great gifts and are perfect for everyone especially that person who has everything or is just difficult to figure out. Everyone loves to be in a super clean car! Autosheen Gift Cards are convenient and very useful gifts. You can buy the Gift card that best fits your budget. Our Gift Cards are perfect for Birthdays, Holidays, Mother’s day, Father’s day, Teacher Appreciation Day, Secretary’s Day, the mailman, your next door neighbor, etc… plus they make excellent Christmas gifts!! As a member of the AUTOSHEEN Email Club, you are will receive exclusive savings and discounts not available anywhere else. Find out about specials, pre-sale offers and birthday discount deals. We won't share your information and will always be respectful of your privacy. Click Here to join our email list. At AUTOSHEEN, we have assembled the best technology and chemistry and in our passion we have not forgotten to go green. Our facilities have been designed with the environment in mind. Our soaps and waxes are biodegradeable. Our water is recycled. Our prices are always competitve. Let us exceed your expectations; it is what we do best! Established over three decades ago, AUTOSHEEN has mastered the science and chemistry to deliver a clean car. It is a combination of our soft cloth equipment, our biodegradable environmentally friendly detergents work in harmony to remove dirt and leave our guests with a truly clean car. We have slowly integrated other conveniences such as detailing and oil change services to give our guests convenience to protect and preserve their vehicles. We have now introduced the next level of protection by becoming an authorized CeramicPro Dealer. This allows us to offer our guests with the next generation of paint protection that make vehicle surfaces resistant to some elements that destroy a vehicle’s finishes and minimizes the need to wax them. We employ eco-friendly business methods, and we work to increase these efforts continuously. We use purified recycled water, biodegradable soaps and waxes, LED lighting, and try to minimize our environmental footpring. Autosheen is a family owned and operated business, and it is our only business. That means we are 100% invested in the success of our business. We have no “absentee” owner to account to. Our attention is not divided by other business concerns. We have the benefit of the varied experiences, points of view and expertise of several key members, which keeps us always thinking and moving forward to bring you the best in car care technology, and allows us to focus on the details. We are hands-on in every aspect of our business, from hiring and training, equipment repair and upgrades, to jumping in and working on our clients’ vehicles ourselves. Washing Cars For 32 Years. We have over 100 years of combined experience over two generations in the car care industry. We’ve been at this since the 1980s, and know every aspect of proper vehicle care, top to bottom, in and out. We have a strong positive reputation in the industry and among our clients. In addition, we have a reputation of doing a good and thorough job, at a fair price, with honesty and consistency…and everything we do must help to uphold that reputation. This is one of our most popular express detailing packages. This express service dores not include a car wash.
• Must purchase car wash. Designed more than two decades ago, the "VIP" has been a favorite for those customers who desire a thorough cleaning of the interior compartments of their cars. After the car is washed, the inside is cleaned with an air gun which is targeted at those hard to reach nooks and crannies thereby removing any dust or dirt particles. The interior is then thoroughly vacuumed, the dash is wiped, all door panels are also wiped clean and these areas are dressed with a protectant. The look is completed with an application of tire dressing. • Includes special plus car wash. Imagine how much dirt your shoes bring in when you step on the carpets inside your vehicle. This small area is constantly exposed to a concentrate of dirt and other material that when left on the surface not only looks bad but slowly destroys the fabrics of your carpets. The solution is: Carpet Express. After we perform the wash package you purchased, our detail team uses high energy steam to loosen any dirt from the fabrics of your carpeting. We then apply a special enzymatic carpet shampoo to deep clean the carpets. The suds are worked in with a hand held carpet orbital cleaning tool and are then removed with our special high suction wet vacuum. The result is a clean that is fresh and thorough. This service is generally completed in about 30-40 minutes. Includes special plus car wash. Imagine how dirty your seats get from the transfer of dirt from everywhere you sit, body oils and sweat. 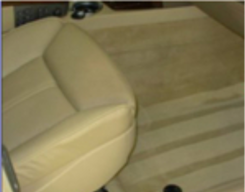 Over time, this small area is constantly exposed to a concentrate of dirt and other material that when left on the surface not only looks bad but slowly destroys the fabrics or material of your seats. The solution is Seat Express. After we perform the wash package you purchased, our detail team uses high energy steam to loosen any dirt from the fabrics of your seats We then apply a special enzymatic cleaner to deep clean the seats. The suds are worked in with a hand held cleaning tool and are then removed with our special high suction wet vacuum. And with leather seats, the surfaces are handwashed with a mild pH balanced cleanser followed by an application of a pH balanced moisturizer. The result is a clean that is fresh and thorough. This service if generally completed in about 30-40 minutes. Express Detail Services may not aways be available on Saturday ans Sundays. Want To Save Money Washing Your Cars ? We will enter your info into our system and you'll have 5 washes waiting for you. On line Buy 4 Get 1 Free for Blackwood location only. For maximun protection, most oil companies recommend changing the oil every 3,000 miles or three to six months regardless of what type of driving you do. 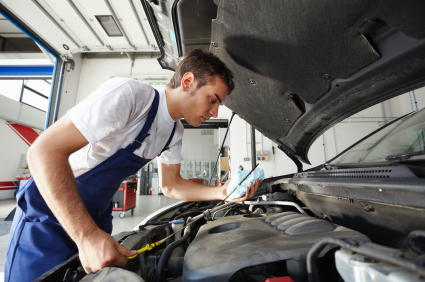 We can help keep your car running well and protect your engine with regular oil changes. Featuring MOBIL1, Quaker State, Pennzoil and Shell Oils. Our Lube Centers are open 7 days, rain or shine, and guests are welcome on first come, first serve basis. Hours of operation are: Mon-Fri 9am to 5pm. Saturdays 8am to 5pm and Sundays from 8am to 4pm. And remember, our guests always get a FREE Full Service (interior & exterior) Car Wash with an oil change! Our Lube Centers use the best Trained Technicians along with the Highest quality supplies and equipment to service your vehicle. We have a 100% Customer Service Commitment and we are focused on helping maintain your car and your Complete Satisfaction. Our Silver Service starts at just $35.95. Provides protection for new finishes. Includes a Full Service wash and tire dressing. " Collinite is a heavy duty clearcoat safe wax used primarily for avation and fine automobile finishes as well. It is more durable than carnauba pastewasx and provides lasting protection. The Ceramic "Pro Sport" Package is a great entry-level option most suitable for newer cars. This cutting edge technology coating is based on nanoceramics and provides a protective, hydrophobic paint coating. This means that Water and other liquids easily slide off the surface so that cleaning your car will be easier than ever. Ceramic Pro paint protection has a beautiful, eye-catching shine. Unlike carnauba based products, nanoceramic based products do not break down from sun, heat and detergent. Your paint will be protected from environmental fallout such as dirt, bird droppings and bug acids. The "Sport Package" is a huge step up from wax. More information on Ceramic Pro Click here.. This processes utilize a clay bar that is an engineered resin compound used to remove contaminants from the surface of your car’s paint, glass, fiberglass and metal. After the clay bar process is done we apply Carnauba leaving your car with a smooth and clean finish. This processes utilize a clay bar that is an engineered resin compound used to remove contaminants from the surface of your car’s paint, glass, fiberglass and metal. After the clay bar process is done we apply Collinite Insulator Wax leaving your car with a smooth and clean finish. The above 2 step processes utilize a clay bar that is an engineered resin compound used to remove contaminants from the surface of your car’s paint, glass, fiberglass and metal. After the clay bar is done, a coat of Ceramic Pro Sport is applied. Achieving a showroom finish requires more than skill - it requries the right prosucts. That means the latest 3M Technology... here at AUTOSHEEN , we use the 3M Perfect-it Paint Finishing System to remove surface scratches and deliver a clean shiny surface. Choice of either shampoo floors, doors and dressing on dash OR shampoo all seats, doors and dressing on dash. Includes car wash and tire dressing. GET exclusive coupons direct to your email. SHOW our cashiers the embeded barcode to save on your car wash.
SAVE money, trees and the environment.